Implant dentistry provides life-changing solutions to anyone who has lost teeth through trauma or disease. A titanium implant or ‘false root’, which the bone fuses to, and then acts as an anchor. 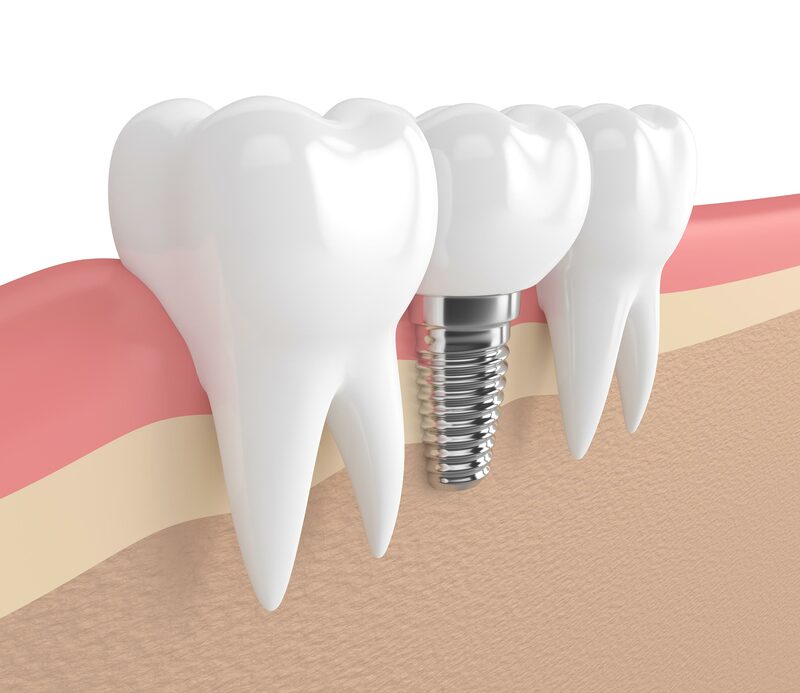 A single tooth replacement, which is similar to a crown, can usually be restored if it becomes damaged. This can be extended into bridge replacement if more than one implant is placed (and there are other teeth still present) or used to hold dentures firm in the mouth.